It’s not just a smaller screen – it’s fundamentally a new user experience. 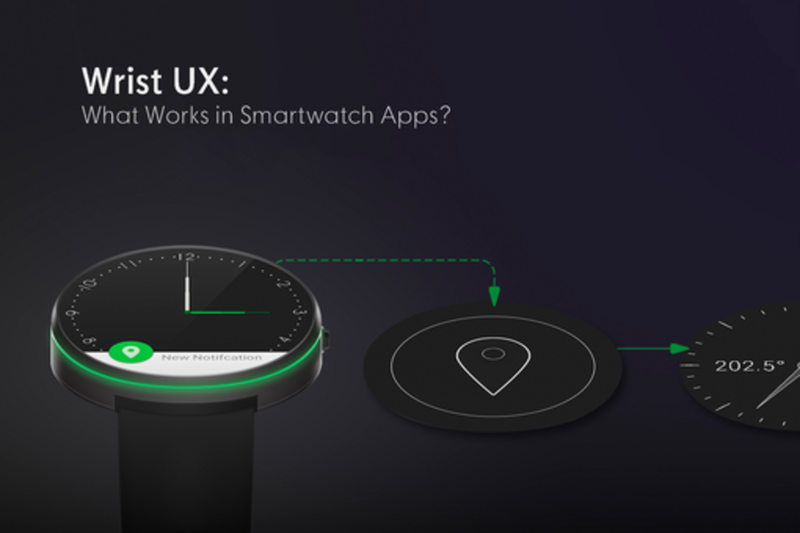 Join design, development and user experience leads from startups, product companies and agencies at SXSW 2016 to enjoy a healthy discussion about designing smartwatch applications. Our talk will provide practical tips, project examples and lessons learned the hard way designing smartwatch applications. Presenters’ perspectives will represent user experience, visual design and user research disciplines. All speakers have hands-on experience designing smartwatch applications. Examples will be cited across Android Wear and Apple Watch. Christian Nam is the Design Lead at Rithmio, a Chicago-based gesture recognition company. Christian collaborates with consumer electronics companies, brands and an in-house product team to build motion-sensing products built on Rithmio's SDK such as smartwatch applications for athletes to physical therapy patients. Christian has a Bachelor of Fine Arts from the University of Illinois and has spoken at TEDxUIUC. When he isn't prototyping experiences on smartwatches, Christian can be found producing electronic music with Music Collective, Dojang Gang. Conrad Stoll is an industry thought leader, developer, backpacker, runner and photographer from Austin, TX. As an iOS Consulting Architect at Mutual Mobile, Conrad kicks off new projects and works to champion best practices throughout the iOS team. He contributes thought leadership pieces, writes code on Github (MMRecord), speaks at CocoaConf and experiments with his iOS fitness app, Runtime. Denny is a Creative Director at T3 where he works on a broad client portfolio while focusing on mobile strategy and marketing for Which Wich, Reliant/NRG, Atlas Wearables, Plum, and 7-Eleven. Denny manages a team of more than a dozen creatives while driving creative processes with other disciplines. Denny has also worked on brands such as Coca-Cola, Dell, Chase, ConocoPhillips, Universal Studios and Facebook. Denny is no stranger to the award circuit with a total of 16 District 1 Addys, 5 District 2 Addys, 2 Best of Show Addys, 3 Communication Arts Awards, 4 Webby's, the first-ever Eyeblaster of the Year award as well as a One Show and Andy finalist. Jen Quinlan is the Vice President of Marketing and part of the founding team at Rithmio, a gesture recognition company that enables motion sensing products. At Rithmio, Quinlan builds partnerships with leading semiconductor and consumer electronics companies, conducts user research, leads company and product marketing, and runs a data collection program. Prior to Rithmio, Quinlan served as the Vice President of Marketing & Innovation at Mutual Mobile, an Austin-based emerging tech agency that builds custom mobile software for the world’s leading brands. She served on the Executive Team and directed a department of marketers, creatives, engineers and salespeople that led innovation and new business programs to drive growth opportunities for the agency and employees. Quinlan has over a decade of experience serving Fortune 500 brands across startups and agencies alike. Her focus areas include digital, mobile software, wearable technology and now connected garments. She is an advocate for “use cases that matter” in that they are useful, usable and desirable for people. She has spoken at South by Southwest and CES on creating wearables for the differently-abled, been published in VentureBeat and Wired, and co-founded Austin’s wearable tech Meetup group that boasts over 700 active members today. When she isn’t working on gesture recognition products at Rithmio, Quinlan can be found in Champaign, IL residing with her husband Mike and two awesome pugs. She a painter, keeps backyard chickens, makes cheese, shops vintage and supports small-scale farming.